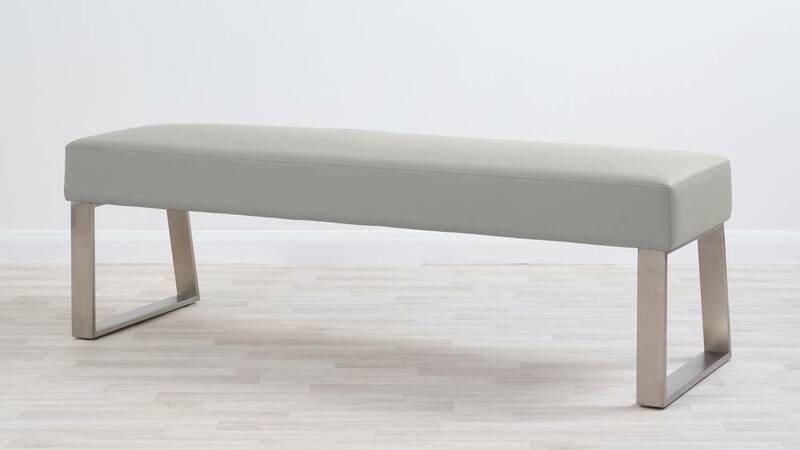 The Dover 3 Seater Bench Without Backrest has a smooth faux leather covering and a trendy curved stainless steel leg frame. 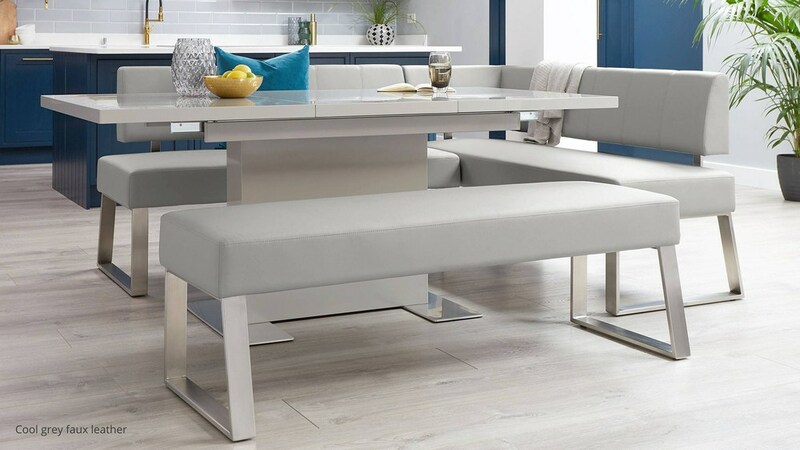 This backless bench shows that dining benches don't have to be big and bulky, as you can seat up to three on this bench but it still retains a slim and streamlined silhouette. 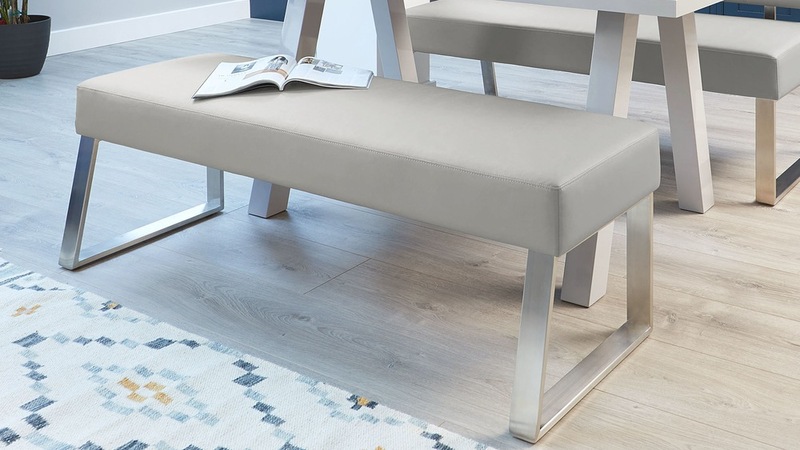 The Dover is a three-seater bench, so you can style this piece alongside coordinating dining chairs or a matching bench, depending on the size of your table and how many you'd like to seat. This makes the bench incredibly versatile. 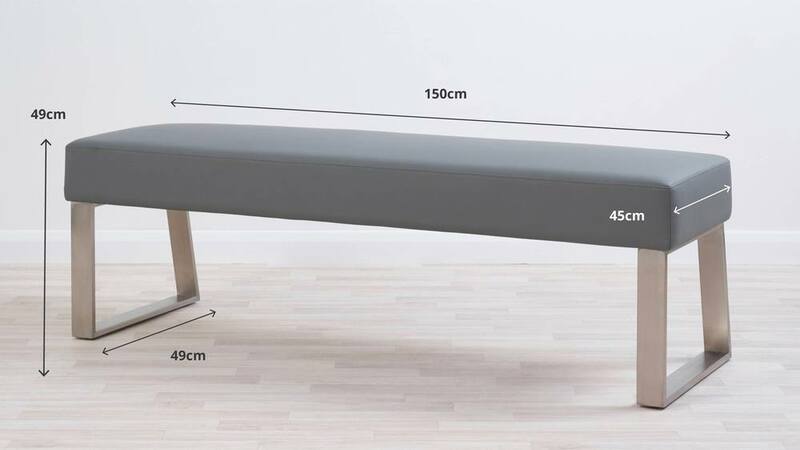 A backless bench is a great match with a pedestal table, but if your table does have four legs, just make sure you get the inner leg measurement so you know the bench will fit under. 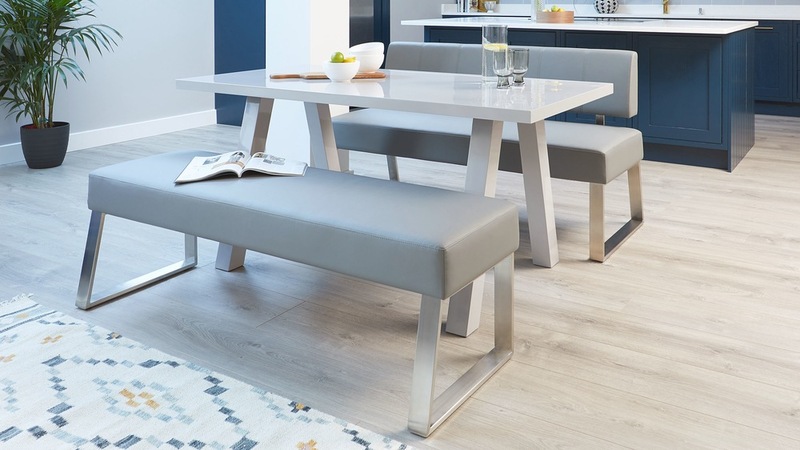 Being able to tuck a backless bench under your table will not only save on space but will help to keep your room looking neat and uniform. 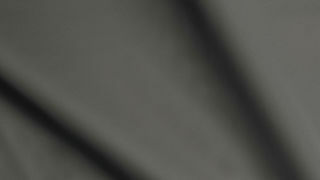 The foam padded backless seat is upholstered in a smooth faux leather. Faux leather is such a practical material for a dining bench as it's easy to clean and relatively low-maintenance. 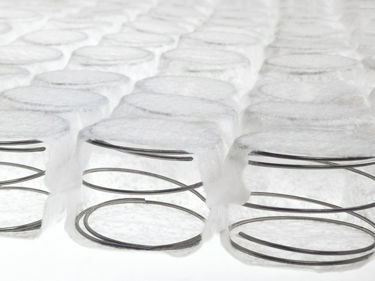 The Dover’s deep and comfy seat base is made up of individual pocket springs, similar to those found on a mattress. 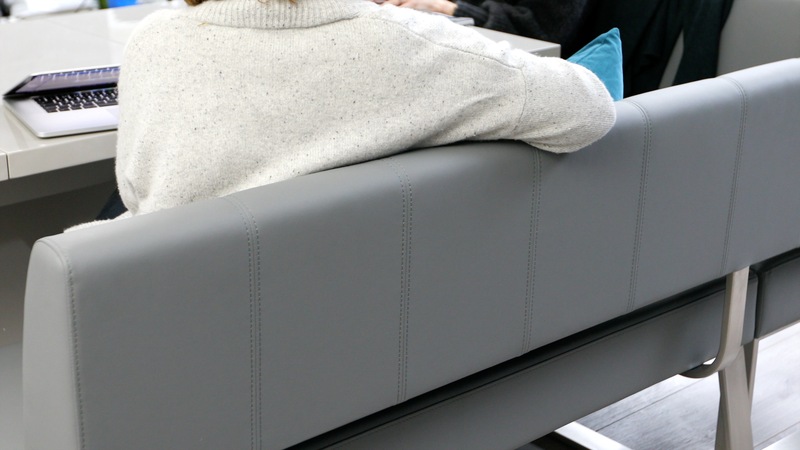 This is a premium feature of the Dover that means the bench retains it shape and will last for longer. 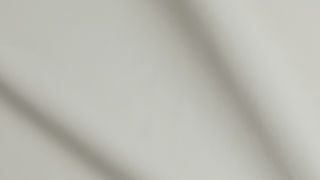 The stainless steel leg frame mirrors the angular seat shape for a clean-lined and contemporary look. 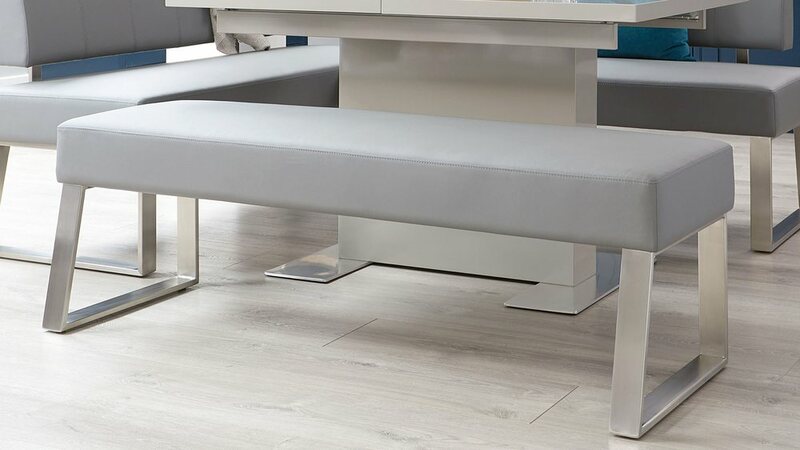 Easy to style alongside a variety of finishes and quick and easy to clean, stainless steel is such a practical finish for something used as much as a dining bench. More to seat? 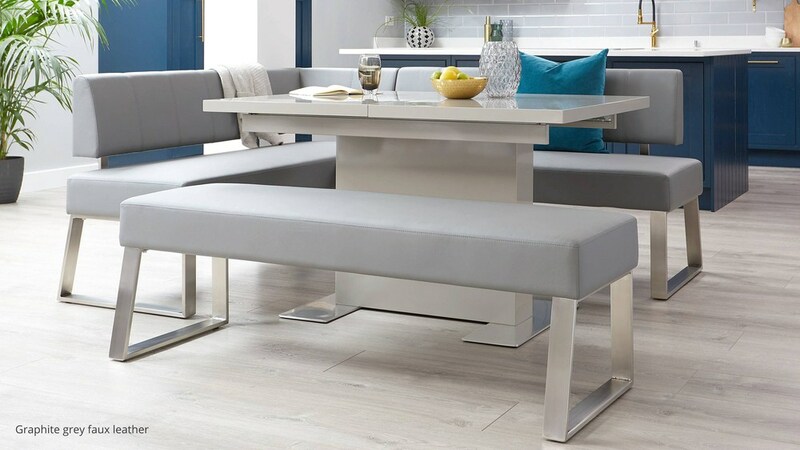 We also have the coordinating Dover dining benches with backrest and left and right corner bench pieces so you can set up your space in style.